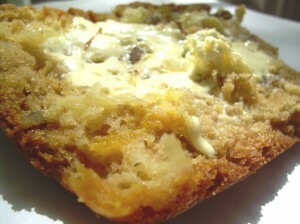 This week Kelly of Baking with the Boys selected Fresh Mango Bread for us to bake from Baking: From My Home to Yours. 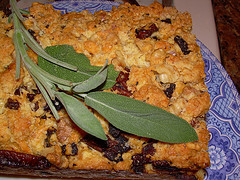 I thought that I had everything on hand, but Fate interceded, and I had to cobble the recipe together. First, I thought I had enough mangoes: two from the store, and two from a friend’s tree in Florida. I had to throw the store mangoes out because they were so nasty they were an affront to all mangoes. I lived in Hawaii for almost 13 years and I had a mango tree, so I know a good mango from a bad one. The Florida mangoes were perfumed perfection, but together they only gave me a little over a cup of fruit, instead of the required 2 cups. So, I threw in some canned crushed pineapple. Second, I couldn’t find my ground ginger, so I subbed two tablespoons of diced crystallized ginger. Third, I realized – in the middle of baking – that I’d used up all my limes, an extraordinarily rare event around here since I have a citrus obsession. Remedy: lemon zest. Fourth, I decided to use my industrial strength Vietnamese cinnamon, so I cut back on that, too, as recommended by Penzeys. 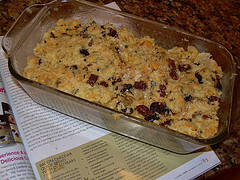 Fifth, I nixed the raisins and added some chopped walnuts. Finally, I cut back the oil to 1/2 cup from 3/4 cup. I made up the difference with more crushed pineapple. The loaf baked to a deep golden brown in an hour and fifteen minutes. Let me tell you, folks, this smells wonderful when it’s baking. 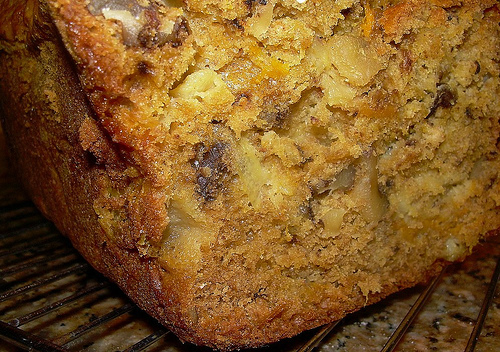 The top had little bits of caramelized pineapple peeking out. I had some left over passionfruit buttercream (yes, after a year, it was still good!) from a previous Daring Bakers challenge, so I rather absent-mindedly smeared my first slice of the mango bread with some of it. DING! DING! DING! Flavor explosion! Taste perfection! I’m writing down everything I did, because I loved this bread and I want to make it again. None of the spices overwhelmed the moist bread, everything worked together, and the passionfruit buttercream was literally the icing on the cake. Definitely on the repeat list! 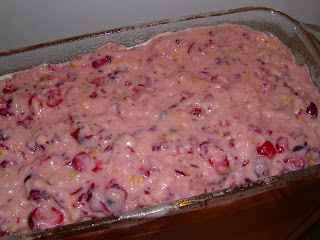 Check out Kelly’s blog for the original recipe, and the TWD website for the blog roll. My adapted recipe after the jump . . .
continue reading "TWD: Mango -Pineapple Bread with a Little Passionfruit on the Side"
And here we have our last participant in my New Year’s Day dinner, which included prime rib, and iceberg lettuce wedges with blue cheese dressing. According, to Master Chow, the Best Meal that I have Ever Made. We will now have a moment of silence as I look at my feet and kick the dirt. Modestly. OK, let’s move along. I realized that it had been years and years since I had made popovers for my now-honorable husband, my then-honorable boyfriend. 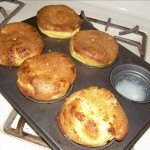 When I was thinking of what to serve with New Year’s dinner, popovers came to mind. Of course, since I have but one oven, making them for dinner would require a bit of juggling, but juggle I did. 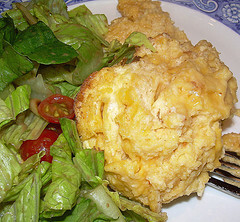 I didn’t have the time to dig out my old popover recipe (where IS it? ), but I found one over at Epicurious that I tweaked a bit. 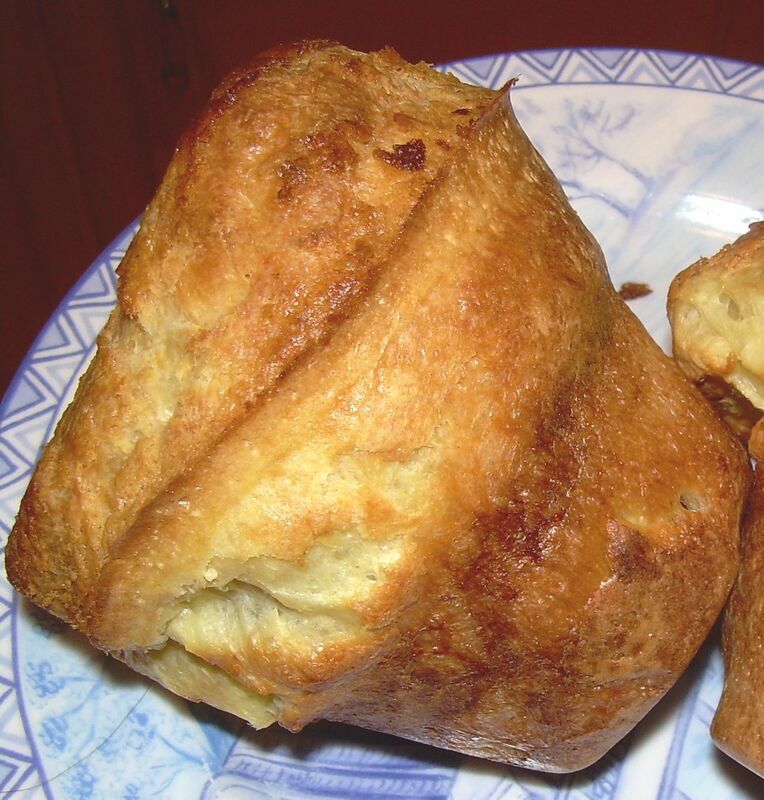 Long ago I discovered that the key to popovers is not so much the recipe, but the technique. 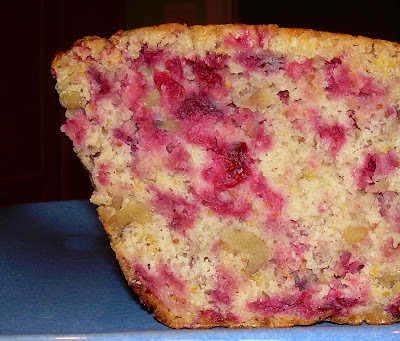 Let the batter sit at room temperature for a while, and preheat the empty pan in the oven before you fill it. That’s about it. Oh, and you need a hot oven. So, basically, I ignored about half the instructions in the recipe, and had excellent results, I must say. The recipe made 5 large popovers. I stuck the leftovers in a plastic zip top bag, and we ate them the next morning for breakfast. Were they as great as they had been fresh out of the oven? No, but they were still tasty and had a slightly chewy texture that I liked. 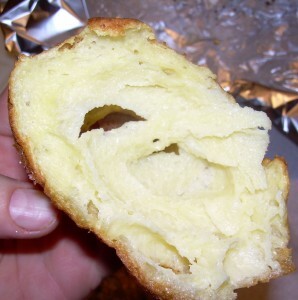 So, without further ado, you will find the popover recipe after the jump. If you want to jazz them up a bit, you can always add a bit of your favorite herb or spice to the mixture. 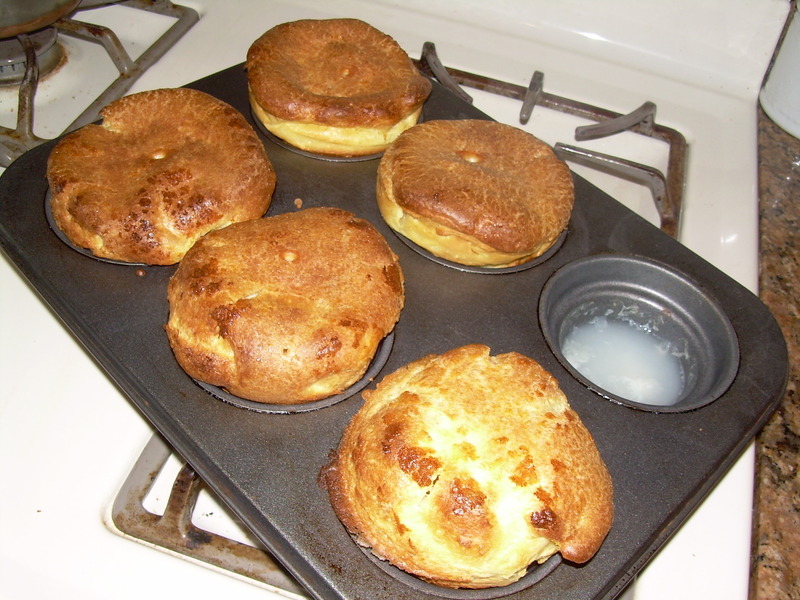 Recipe after the jump. . . .
continue reading "Popovers, Revisited After Many Years (No TWD – I’m Out of Town)"